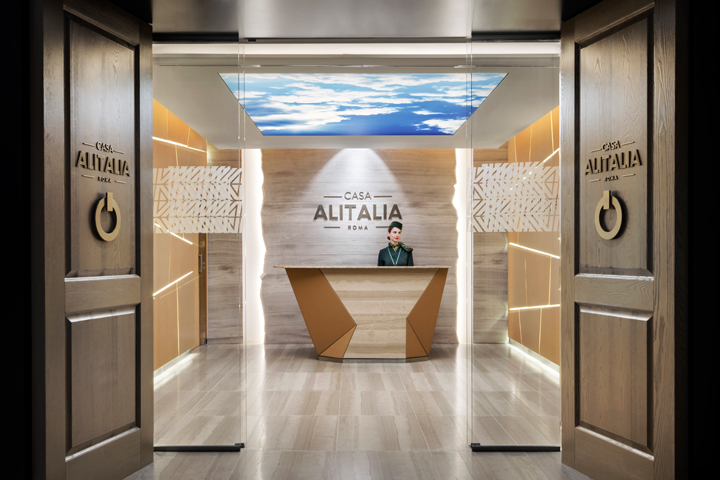 The Casa Alitalia project is dedicated to hospitality and offers a range of comforts to frequent flyers in the context of the Flagship Lounges: elegant and comfortable rooms welcome guests from around the world and make them feel as if they were in a typical Italian home. 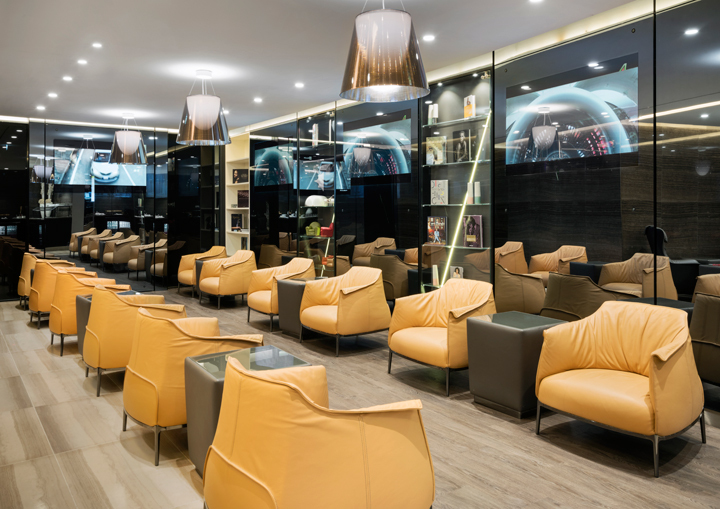 Recently inaugurated, the Flagship Lounges of the Rome Fiumicino and Milan Malpensa airports are a project by the Alitalia staff, carried out by the internationally renowned architect, Marco Piva. 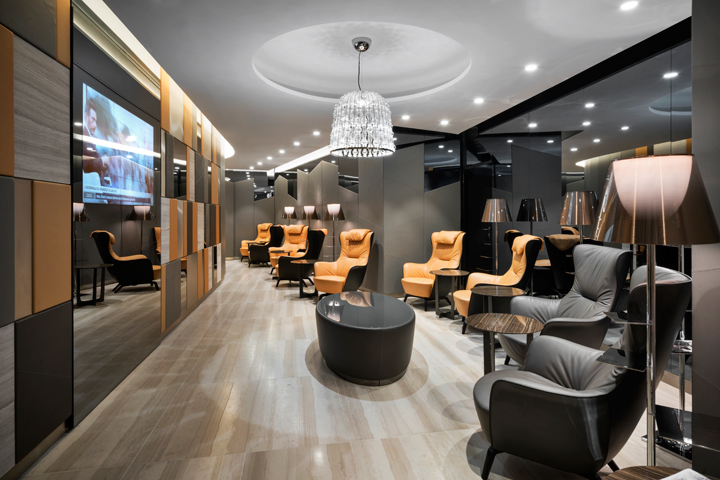 Grottini Retail Environments was the supporting partner of the entire technical and operational implementation, in collaboration with Poltrona Frau which supplied leather and armchairs. 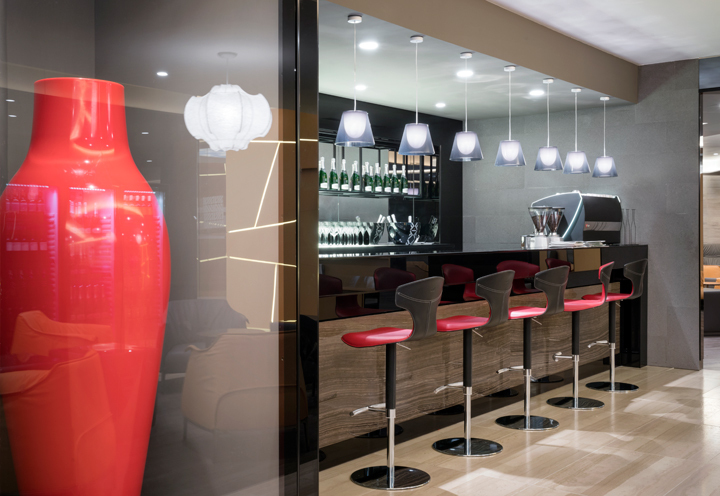 The Rome Fiumicino airport Lounge covers an area of about 800 square meters, with over 115 seats for guests. 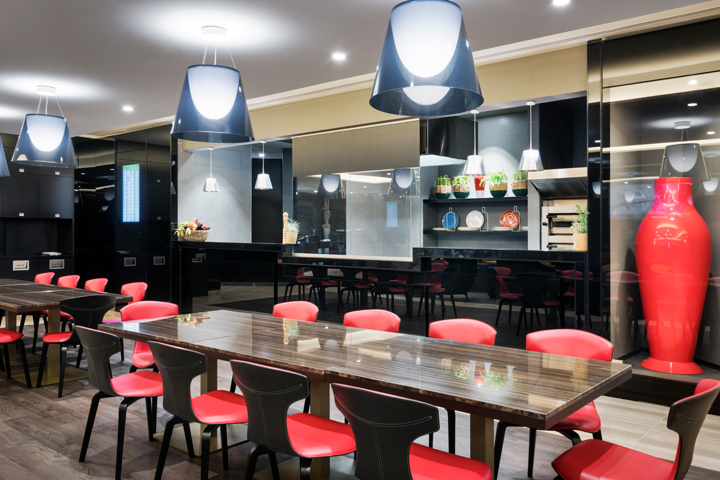 An environment that, while retaining features of sophistication and elegance, evokes the cozy atmosphere of a private home. Therefore, access to the lounge evokes the shape of a door of an Italian building, welcoming passengers into a cozy and quiet space which takes them away from the chaos of the airport. 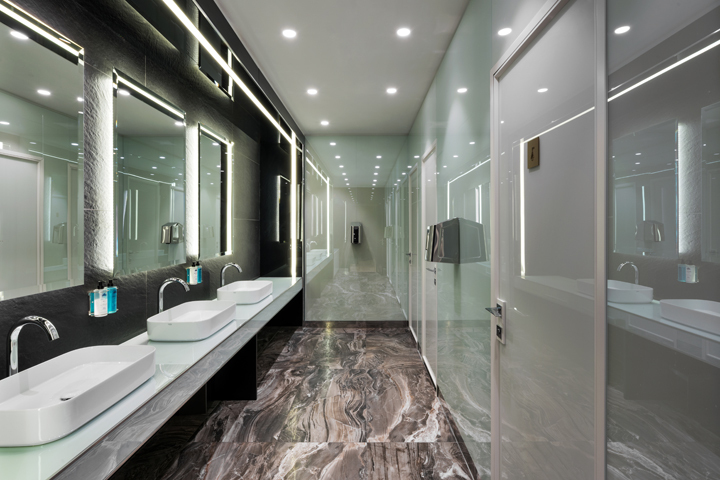 Particular attention has been paid to the selection of materials and furnishings, an expression of the best Italian handcrafted excellence: from the Trani Serpeggiante marble used for the hand-carved reception desk to the Eramosa marble tables and walls with handcrafted finishings. 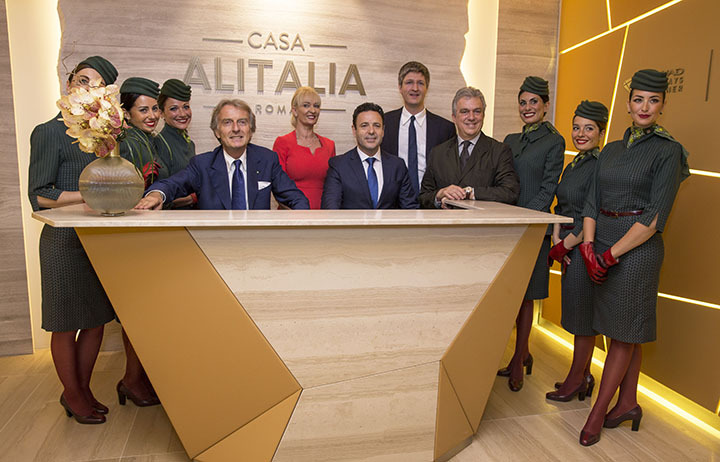 "With Casa Alitalia we will showcase Italian excellence and style in an elegant yet relaxed setting, where a warm welcome with attention to details will make our guests from all over the world feel as they were in a typical Italian home," said the CEO Cramer Ball. "The opening of these new lounges is a further step in the re-launch plan of our ground and in-flight services. We aim to become the best airline in Europe, and to achieve this we must ensure excellent service for our passengers before, during and after their flights." 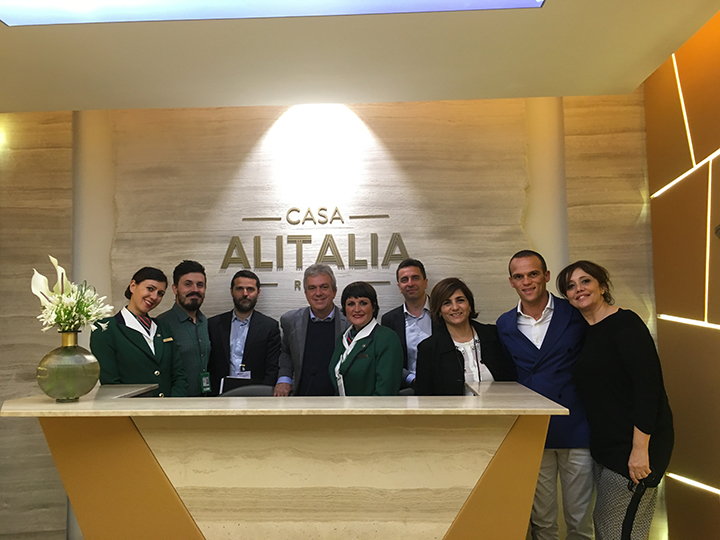 Alitalia is the main Italian air transport group and stands out for its great attention to service quality, fleet maintenance, and customer assistance. Alitalia is part of Etihad Airways Partners, a unique partnership formed by 8 airlines: Etihad Airways, Alitalia, Air berlin, NIKI, Air Serbia, Air Seychelles, Jet Airways e Etihad Regional. An integrated network of over 350 destinations spread across six continents that aims to guarantee the highest standards of comfort and hospitality both at the airport and in flight. Alitalia today stands for high quality service and promotes the uniqueness of Italian style and charm. Style takes flight and is the theme that marks every aspect of the new image of Alitalia: from stylist Ettore Bilotta's uniforms inspired by traditional Italian elegance, to the collaborations with important Italian brands and companies representing Italian excellence.